BCN3D Sigma Filament Cleaner by WanaGo is licensed under the Creative Commons - Attribution license. This is a remix of the Filament Cleaner by @Rafel. I took the STL file and copied the profile, however created the part from scratch using Solidworks. 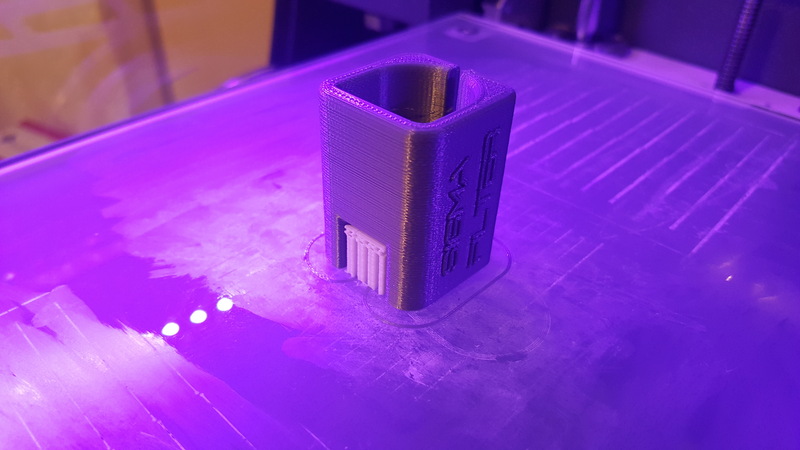 The previous version would not sit over top of the "BCN3DSigma-M01C02.0P07A Bowden entry top" part on the printer, causing it to rock and not be stable. The clearance it has was 10mm off the printer floor, the actual designed parts take up 10.5mm based on BCN3D solidwork files, however on my printer they actually sit just under 11mm, so I have designed the clearance to be 11.5mm. I have included a mid-detailed STL export, and the Solidworks design. Edit/chop/change as you see fit. If you can think of another improvement, please let me know, I am happy to modify and push out something else if it will work better. Added different text down the side of the part compared to the original. 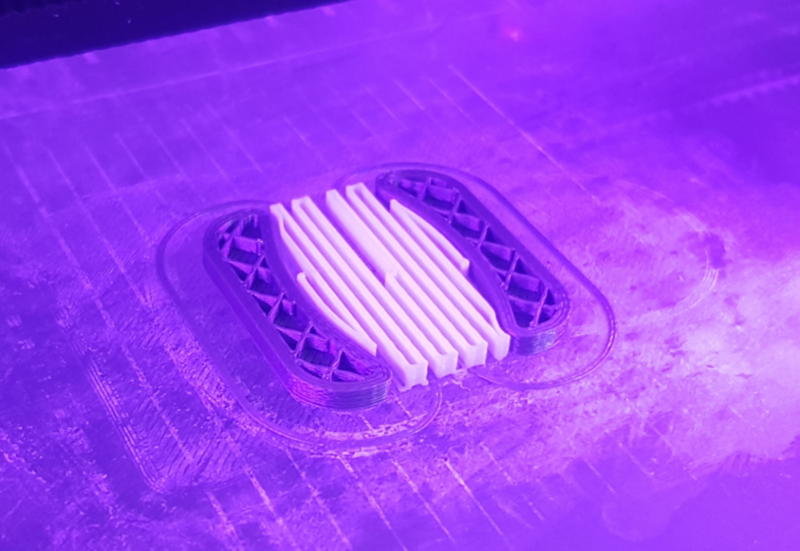 Resolution and Infill likely not critical. 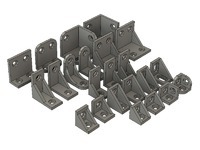 Supports are required due to the large overhang. 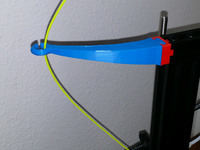 You could put a piece of double sided tape under the feet of this to hold it onto the base of your printer if you want, or just let it sit freely. Depending what your printer is doing, it might rattle - see how you go. 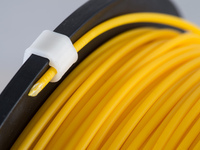 The filament goes down from the top, so friction on the filament may hold it enough. Just fold a piece of foam into the gap and cut to suit, so the filament gets wiped as it goes into the machine floor. Start of the print. Printing using Simplify3D, used Cura for the original version, will see what differences there are.